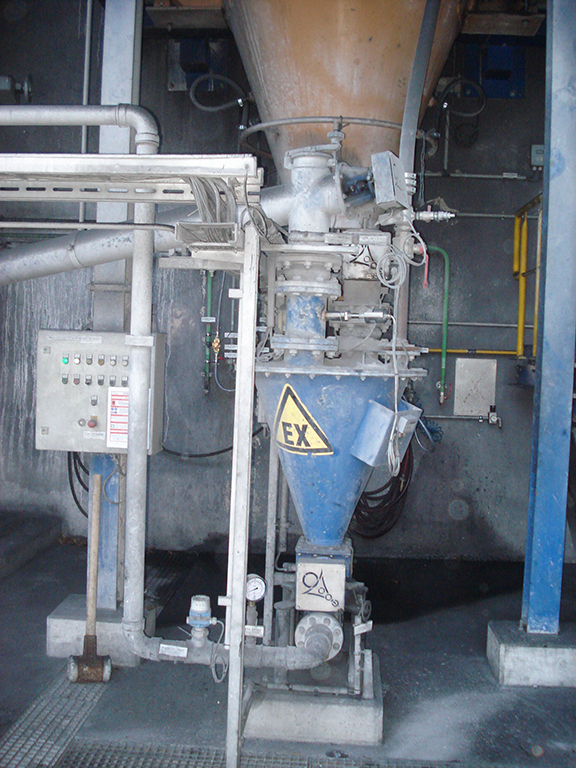 A waste incineration plant produces exhaust air during the incineration process. These exhaust gases have to be cleaned. 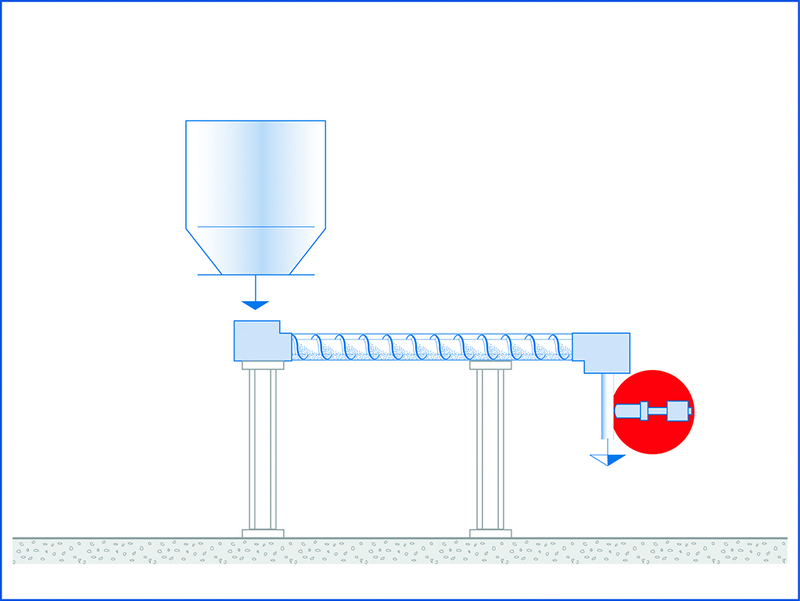 Therefore hearth furnace coke (HFC) is transported by a screw conveyor from a silo to an injector, where it is injected pneumatically into a catalyst. Between the screw conveyor and the injector the amount of the supplied HFC is measured in freefall using the SolidFlow 2.0 mass flow measurement solution by SWR Engineering. While flowing through the catalyst, sulfur dioxide (SO2) is isolated from the exhaust gas. After the cleaning process the remaining pollutant content mustn’t exceed a defined value. Therefore the exhaust air is controlled constantly. Depending on the pollutant content the amount of the admixed HFC should be regulated automatically. The SolidFlow 2.0 measures a continuous mass flow up to 20 t/h in freefall and in pneumatic conveying. In the described application the dosage of HFC into the exhaust air stream should take place automatically and depend on the remaining pollutant concentration. The measuring of the exhaust gas values after the separation process defines the amount of HFC, which has to be admixed to the separator and therefore represents the command value. The installed SolidFlow 2.0 measures the amount of HFC dosed by a screw conveyor and regulates its speed control. After the freefall the HFC enters an injector, where it is transported by an airstream to the filter.